This is the first of several posts in the coming days regarding the Foreign Corrupt Practices Act and related enforcement action against VimpelCom and a related entity announced yesterday by the DOJ and SEC (see here for the DOJ release, here for the SEC release). Yesterday’s enforcement action is expected to be the first enforcement action concerning the Uzbek bribery scandal with additional enforcement actions (of similar or greater settlement amounts) against TeliaSonera and Mobile TeleSystems expected in the future. After accounting for various credits and deductions, VimpelCom will pay $230.1 million to the DOJ, $167.5 million to the SEC, and $397.5 million to Dutch regulators. The net $397.5 million U.S. portion of the settlement is the 5th largest FCPA settlement amount of all-time (see here for the current top-ten list). A future post will contain an in-depth overview of the U.S. VimpelCom resolution documents which total approximately 120 pages and another future post will highlight various issues to consider from the U.S. enforcement action. The DOJ component involved a guilty plea by Unitel LLC (an entity headquartered and incorporated in Uzbekistan which conducted VimpelCom’s mobile telecommunications business in Uzbekistan) to a criminal information charging it with conspiracy to violate the FCPA’s anti-bribery provisions. In addition, VimpelCom (a Bermuda company that was headquartered in Moscow, Russia until 2010 when it moved its headquarters to Amsterdam, the Netherlands and which has shares traded on NASDAQ and previously the New York Stock Exchange) entered into a deferred prosecution agreement (and here) to resolve a criminal information charging it with conspiracy to violate the FCPA’s anti-bribery and books and records provisions and a separate count of violating the FCPA’s internal controls provisions. To resolve the DOJ actions, VimpelCom agreed to pay a total criminal penalty of approximately $230.1 million, including$40 million in criminal forfeiture. 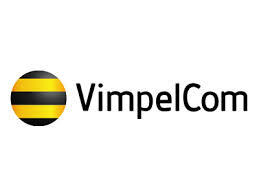 VimpelCom also agreed to resolve a settled civil complaint charging it with violating the FCPA’s anti-bribery provisions, books and records provisions, and internal controls provisions. The company resolved the complaint by agreeing to pay a total of $375 million in disgorgement of profits and prejudgment interest. According to the DOJ and SEC releases, VimpelCom also resolved a Public Prosecution Service of the Netherlands (OM) enforcement action by agreeing to pay a $230.1 million criminal penalty. After accounting for various credits (for instance the SEC $375 million in disgorgement of profits and prejudgment interest was divided between the SEC and OM, the DOJ agreed to credit the penalty paid to the OM and the SEC agreed to credit the DOJ forfeiture) the net U.S. portion of the settlement amounts to $397.5 million – the 5th largest of all-time from a settlement perspective. Separate and distinct from the above components of the VimpelCom enforcement action, the DOJ also announced as part of its Kleptocracy Asset Recovery Initiative the filing of a civil complaint seeking the forfeiture of more than $550 million held in Swiss bank account, which allegedly constitute bribe payments made by VimpelCom and two separate telecommunications companies, or funds involved in the laundering of those payments, to the Uzbek official. As noted in the DOJ release, yesterday’s civil complaint follows an earlier civil complaint filed in June 29, 2015 which seeks forfeiture of more than $300 million. Yesterday VimpelCom’s Nasdaq shares closed down 1.6%. Mark Rochon and John Davis (both of Miller Chevalier) represented the VimpelCom entities.